I am very interested in people, which ultimately led me to a street photography. A glimpse of the figure of a living human being, and I feel much appealing to photograph the moment. When and how did Void Tokyo begin? What is your vision? Void Tokyo started from where Tatsuo, founder, thought that different Tokyo would be visible by shooting Tokyo with multiple members. Tatsuo got this idea when he participate a exhibition/photobook project of a girl model with 12 photographers. Then he saw 12 different faces from one girl. Since there was no publication issuing periodic realistic Tokyo as a street photograph, he wanted to ask the world by Zine periodically published with photographs of ever-changing Tokyo. 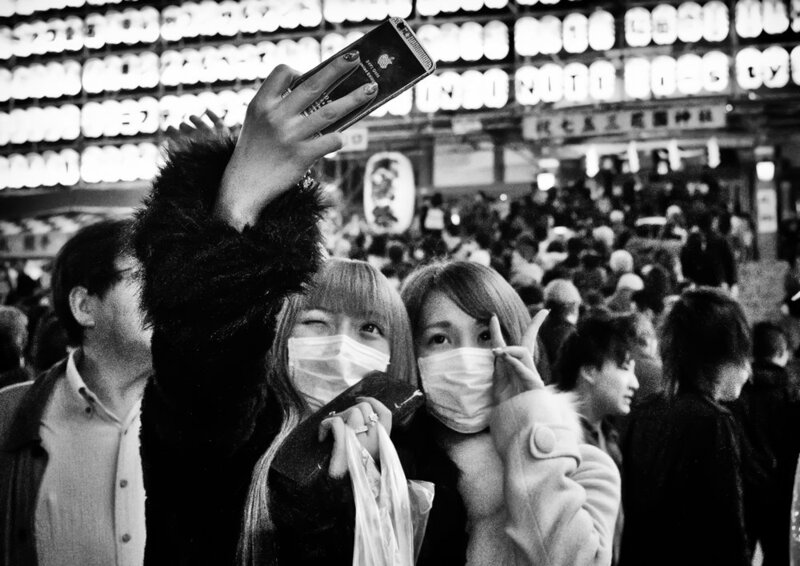 In Japan, street photography is quite difficult to be published on major magazine or media because of portrait rights. In most case, to put our photograph on the net is the way to present it. So we should do it by ourselves and its’ only way to do it for us. Our vision is to present and archive ever-changing Tokyo before the Olympic Games in 2020 and after. We think that there is great significance. What does “Perceiving the Void” mean to you? We mean “Void” is something buried in everyday life and not noticed. It exists in town, people, or photographer. By presenting this as a photograph, the reader and we, photographers will do "Perceiving the Void". Tell us about the founding members. What is the process in choosing members? 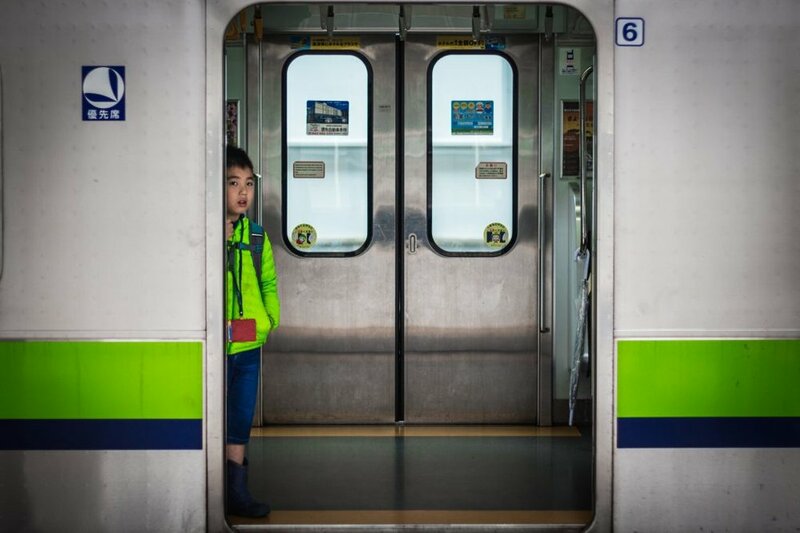 Tatsuo asked the photographers who has intensely enthusiastic about the street photography, and those who shoot emotional in photograph, to join this project. People are so refreshing to photograph, I find that I can step out of my world and into theirs, which is somewhat of a stress reliever. What is your motivation when photographing people? We ask that each member answer this question. (Hiroki Fujitani) The photograph is a mirror that shows myself. Also, it is attractive that street photography take the "Life" of the subject rather than any other type of photograph. (Tadashi Onishi) I photograph the “City”. People there are part of the city, so I inevitably photograph people as well. And People is most attractive part of the city to me. (Tadashi Yamashita) People is not an actor nor an audience in the big stage of the city. Because I am an outsider for them, I’m driven by the desire to see it closer closer. (Tatsuo Suzuki) I am very interested in people, which ultimately led me to a street photography. A glimpse of the figure of a living human being, and I feel much appealing to photograph the moment. (Ash Shinya Kawaoto) I want to chase people’s wild faces. (Naoki Iwao) I want to take pictures of people's blues on the street. (Keiichi Ichikawa) It is as interesting as the events that happen in town, there is no other interesting thing to me. (So Sasaki) Because I would like to show myself how it looks to Tokyo's prejudice and image. (Kawara Chan) Ever since getting a magical item, I have been making wonderful discoveries every day. I cannot not photograph them. (Yukari Unleash Sasaki) I’m attracted to the expressions and behaviors of the people at the moment that the world will overlook in the city and people changing little by little. (Miho Okawa) There are as many dramas as there are people. It is because the moment like a truly miraculous thing always happens within a distance of several meters from me and I want to photograph it. We think that the gentrification in Tokyo is just a public image. The gap between rich and poor is increasing more and more, there are accumulating problems such as working poor, death from overwork, physical abundance that never happens to be happy, etc. I found the first image in Volume 1, your first zine, quite interesting - as if it’s intentional with an underlying message. Was it intentional? It will be a lie if it is said that it is not, but we shouldn’t to say it. Many neighborhoods are being stripped of its culture and are being replaced with a generic, non-traditional way of life. What are your feelings about gentrification in Tokyo? We think that the gentrification in Tokyo is just a public image. The gap between rich and poor is increasing more and more, there are accumulating problems such as working poor, death from overwork, physical abundance that never happens to be happy, etc. We believe that it is a great hope and task if we can photograph these social phenomena through street photography. Do you feel Tokyo is represented correctly through social media? Yes. We think that Tokyo is represented more correctly compared to the SNS-before. The image of Tokyo taken by a famous photographer such as Moriyama Daido, William Klein and more is still strong, and there are many enlarged reproduction photographs, but we think that diversified people can easily upload various pictures. Then Tokyo has been described multilaterally. When do you anticipate releasing Volume 2? Are there plans for an exhibition in the near future? Void Tokyo volume 2 is scheduled to be published in August. At the moment there is no plan for the photo exhibition, but we will hold our photo exhibition while continuing with Void. There are a lot of excellent street photographers in Japan. We will hook them up to our project through our activities and you will know more about Tokyo through our zine. It shall be different Tokyo faces from the Tokyo, which overseas photographers cut out. We will keep going anywhere and continue to transmit real Tokyo because we think this project has a big meaning while we run. Please keep gazing at VoidTokyo. Good light.